Hi friends! 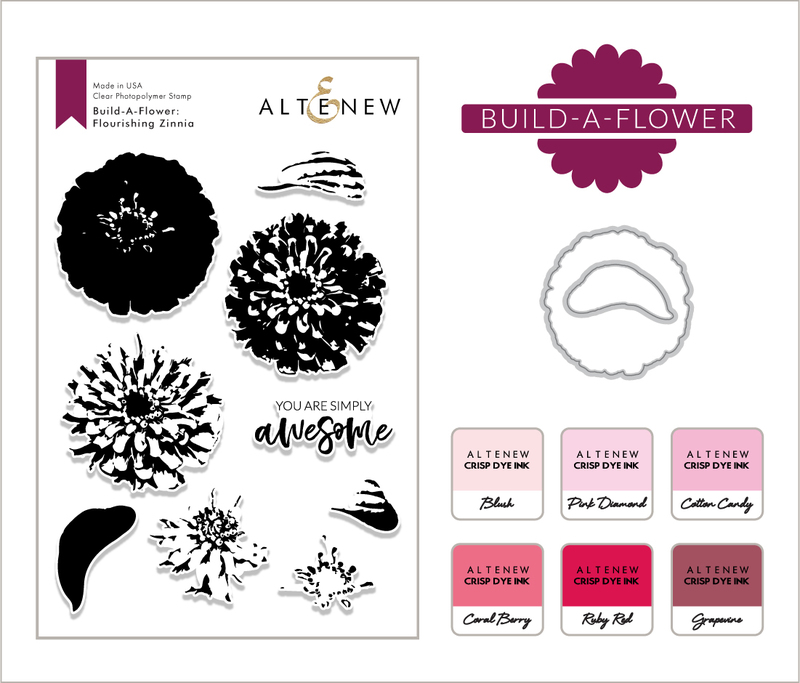 I am here today with the girls over at Altenew and the latest Build-A-Flower.....a Zinnia! This stamp set is SO easy to line up and create a gorgeous bloom. To check out the newest Zinnia Build-a-Flower, click HERE. 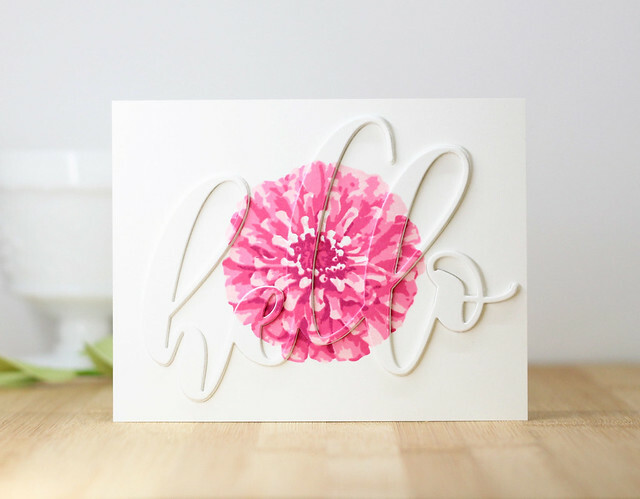 To create this card, I stamped the Zinnia right in the center of the white card panel. I chose the Cherry Blossom Ink Set to stamped this layered beauty. Next, I die cut the hello right from the stamped panel. I added lots of adhesive to a white card base and then attached the negative down to the card base. Last, I die cut the hello in fun foam and then added the Zinnia stamped hello to the fun foam before adding the fun foam sentiment to the card base. I added the little tiny negative pieces down inside the hello to finish it off. 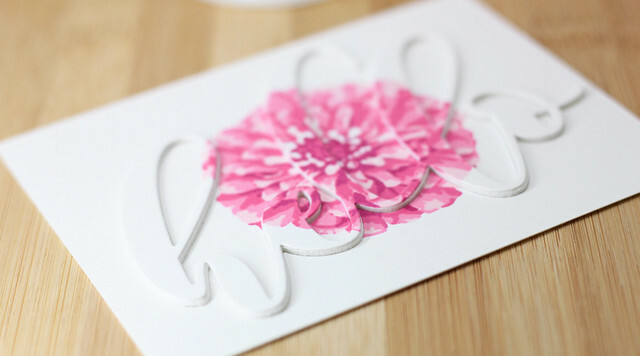 I kept it super simple with all that white space to let the Zinnia POP from the card. Keep reading to see the giveaway details and to check out the blog hop! Thank you so much for coming by today! I hope you have enjoyed the hop today! Lovely card! Simple and elegant! Your stamping is perfect and I'm loving the raised sentiment! Absolutely gorgeous CAS design Laurie! Your cards always pack a punch of color that makes them sparkle! Thanks for the inspiration! Very pretty! That's one of my favorite techniques. Another beauty. Love the colors and the design. What a lovely card!! I love the design of your hello on it. Plus I love the color of the zinnia. Beautiful!! Love this clean and simple card! That's lovely! Hidden sentiments like that always look so cool! So beautiful and elegant! Love the inspiration card and the new release is fabulous! Love eclipse cards and this deceptively simple image really sets it off! Pretty in Pink and then love how you added the dimension to bring the sentiment in without taking away the beauty of the pink Zinnia! Great job! Pretty card! I love the big hello word. Gorgeous card. And so simple to make. Love this idea! So beautiful! What a great idea! I love how you colored the flower too! luv this technique. even more special with the zinnia! Wowza Laurie, this is gorgeous!! Beautiful Card Laurie. Thank you for sharing. Laurie, I love the details of your pink flower. Amazing!! Love the diecut overlay. Very cool card with the bloom center stage! Very pretty card. Loved how you made the sentiment dimensional. You just can't beat classic white on white! Lovely. I love the way you made the bloom pop off of the card! Love your treatment of this zinnia set. 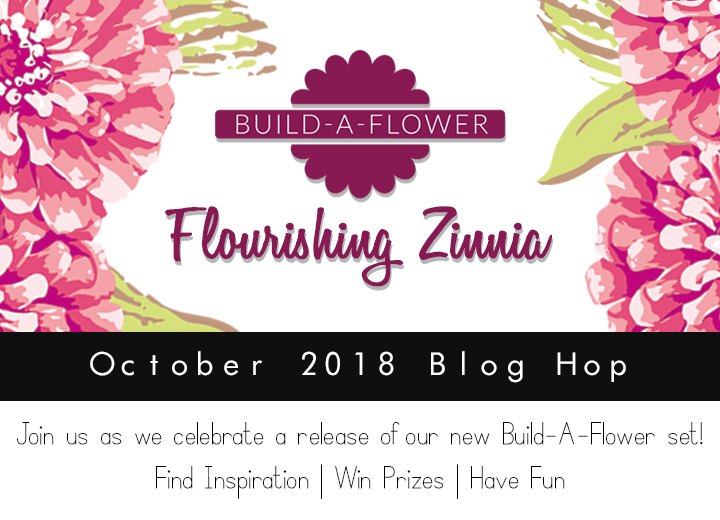 A very beautiful and elegant way to showcase the Build-A-Flower: Flourishing Zinnia set, I love it! And it does pop! What a gorgeous card! Love the simple elegance. TFS. I love everything about the card! Love it!! 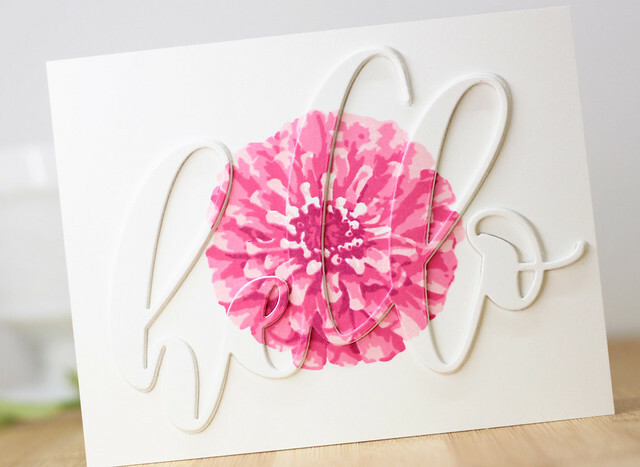 This pink and white card looks gorgeous! I LOVE this color combo! I'm a pink girl! Joyful and bright design and it looks beautiful too! I'm a huge fan of clean simplicity. Such a gorgeous card! This looks really cool. I wondered how you matched the image with the sentiment but then read the post and discovered it was a simple technique. It makes me want to scrap lift the idea and try my own. Very pretty! Love your card. It looks simple and detailed all at the same time. Gorgeous flower. Love the simplicity & that gorgeous big zinnia! Awesome color!! Love the sentiment popped up and the beautiful colors. Simply gorgeous! 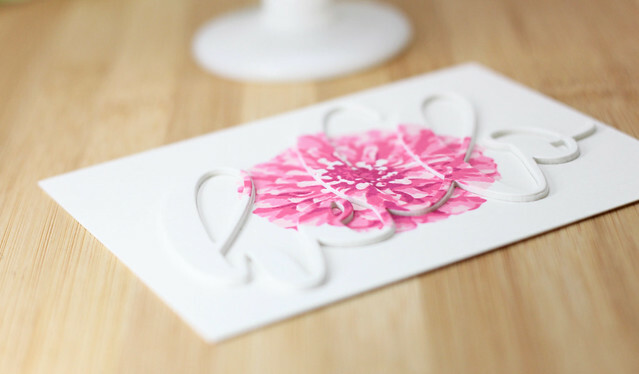 The raised die cut inlay is such a fabulous look, especially with this large, bold bloom. Perfectly striking card! Gorgeous CAS design and colors. Beautiful, clean card. I love the dimension on the "hello" and the colors are stunning. The zinnia so pretty. Simple but so beautiful! I love how you placed the sentiment right over the flower and die cut it. The dimension really makes it pop on this clean design. You have such a lovely style to your card making.